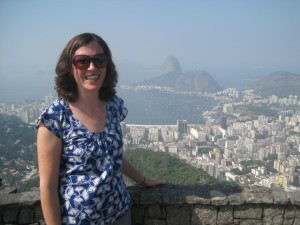 Dr. Maureen Donaghy’s research and teaching interests focus on development and civil society with an emphasis on participatory governance, urban politics and Latin America. Specifically, she has conducted extensive research in Brazil on the effect of participatory institutions related to housing policy. She is the author of Civil Society and Participatory Governance: Municipal Councils and Social Housing Programs in Brazil (2013, Routledge Press) and she has published articles in both comparative politics and Latin American studies journals. Dr. Donaghy’s latest book project, titled Democratizing Urban Development: Strategies and Outcomes of Community Organizations for Housing across the US and Brazil, examines the strategies organizations undertake to confront the crises of displacement and affordable housing across four cities in two very different countries. A project exploring the ways in which citizens have participated in the redevelopment of Old Havana. A comparative study on the impact of receiving housing assistance for political participation and attitudes. A global study assessing best practices in integrating citizens in urban redevelopment plans and their implementation. At Rutgers University in Camden, Dr. Donaghy teaches courses related to international economic development and poverty alleviation in the School of Public Policy and Administration and comparative politics, development policy, and Latin American politics in the Department of Political Science. Page last updated at 11:23 am April 7, 2018 . This page was printed from donaghy.camden.rutgers.edu/ on Tuesday, April 23, 2019.